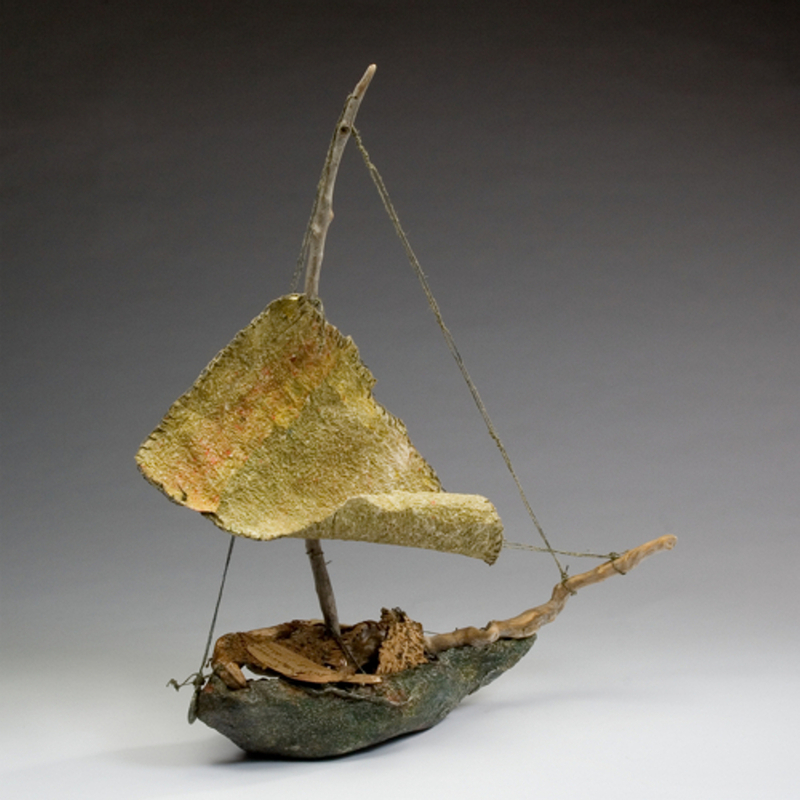 Handmade paper vessel. Hull and sails made from abaca pulp. Sails dyed with pigments. Hull cast in plaster gauze. Paper formed over gauze. painted with layers of acrylic washes. Surface of hull sanded between each layer of acrylic washes, driftwood, woven raffia and eucalyptus leaves on hull.